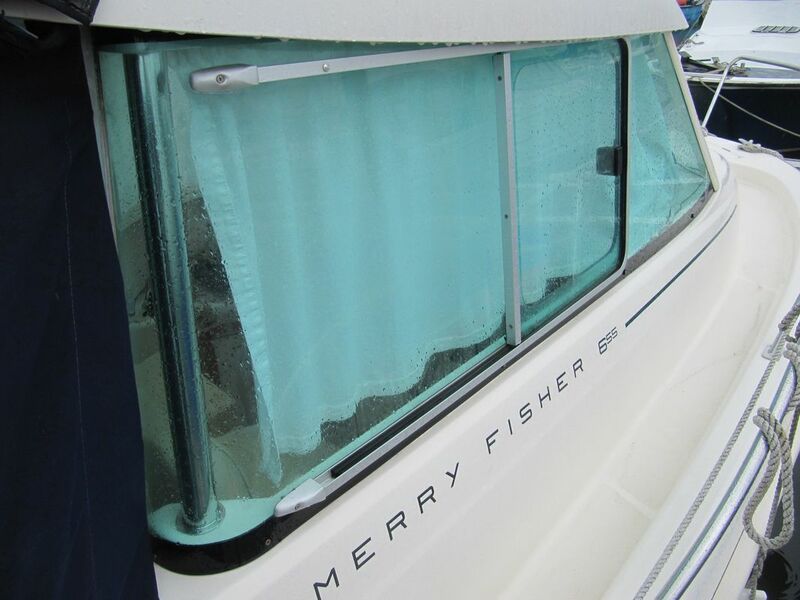 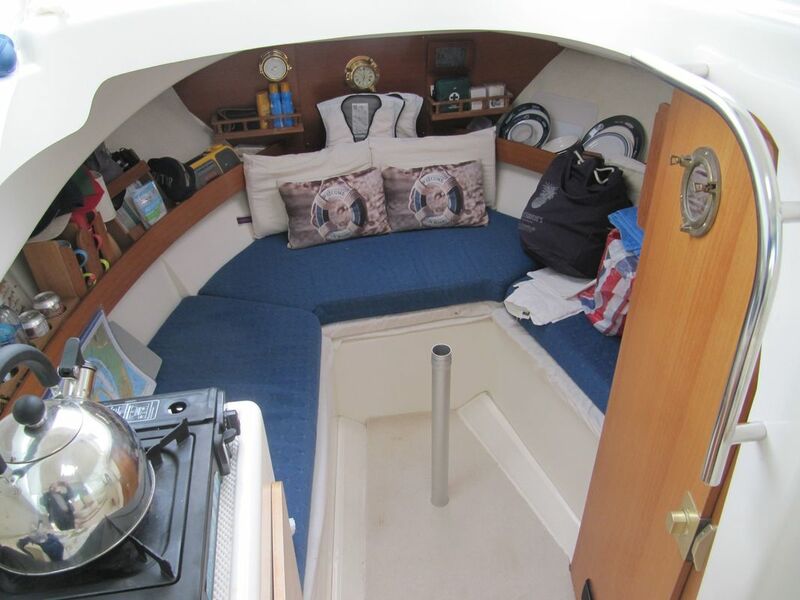 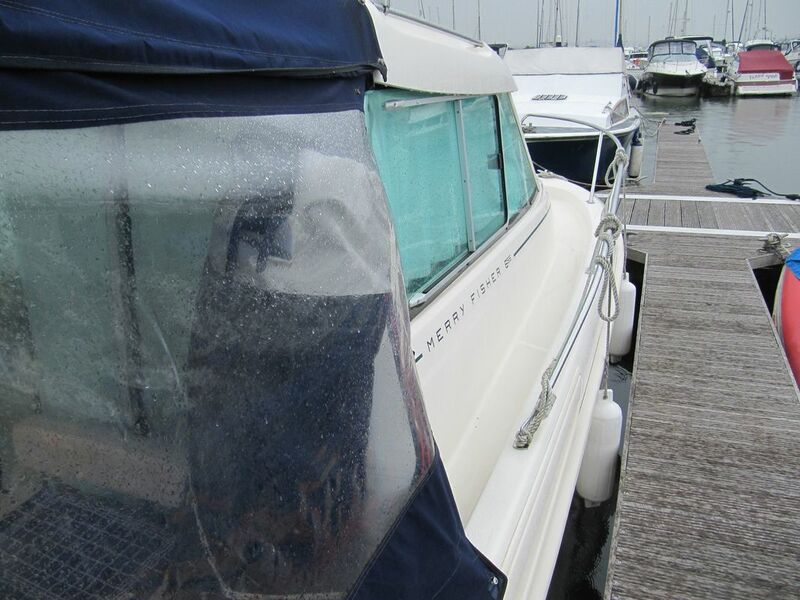 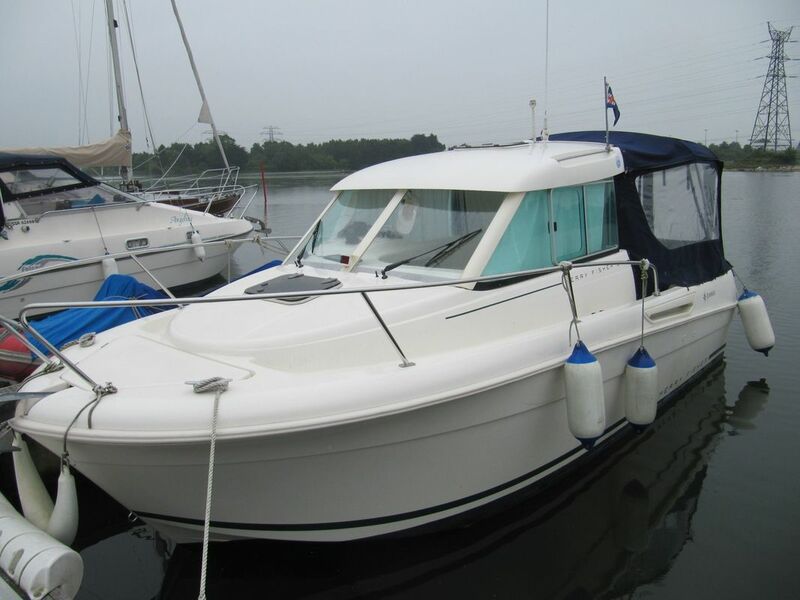 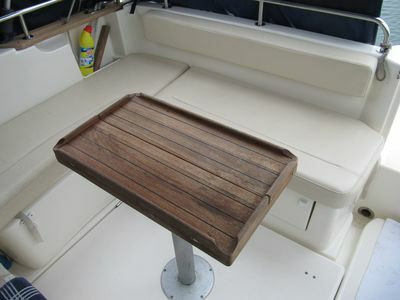 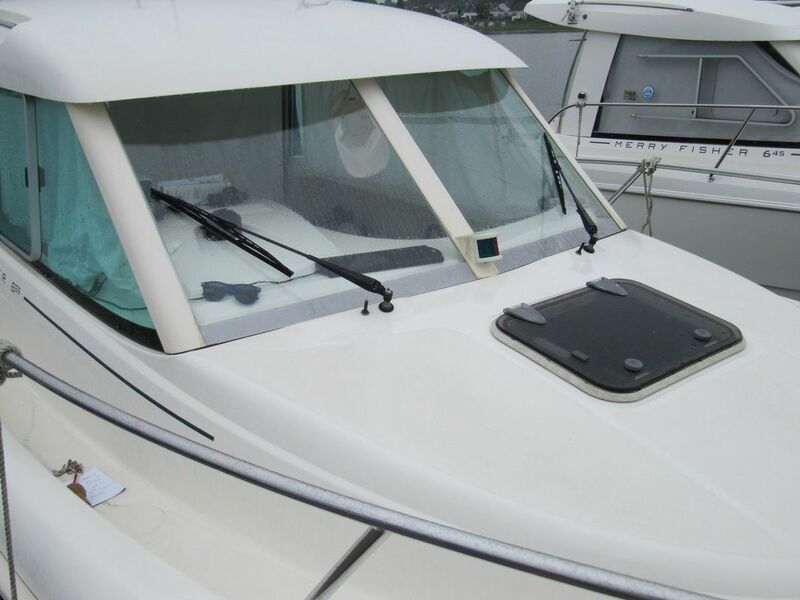 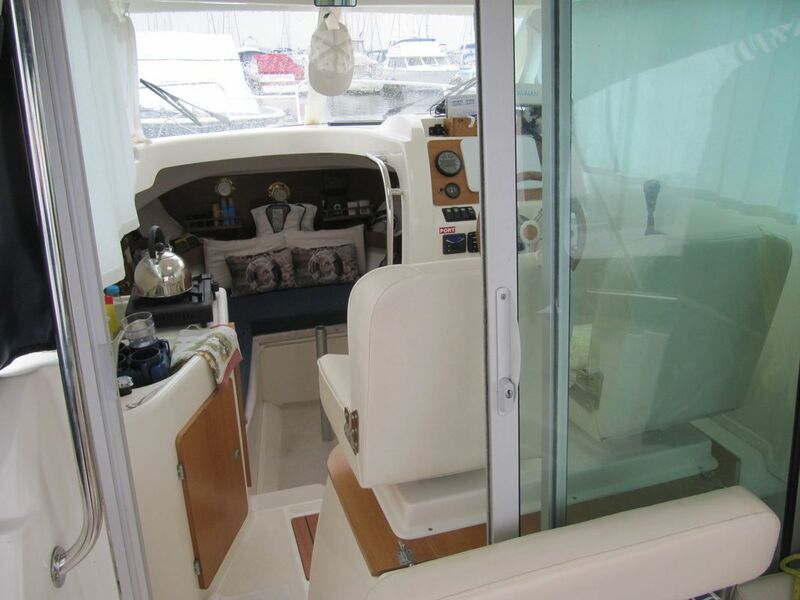 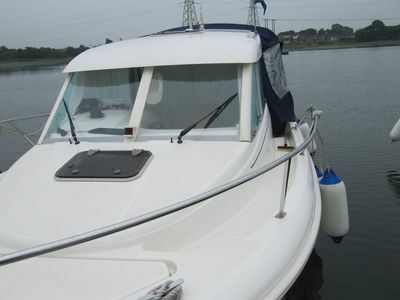 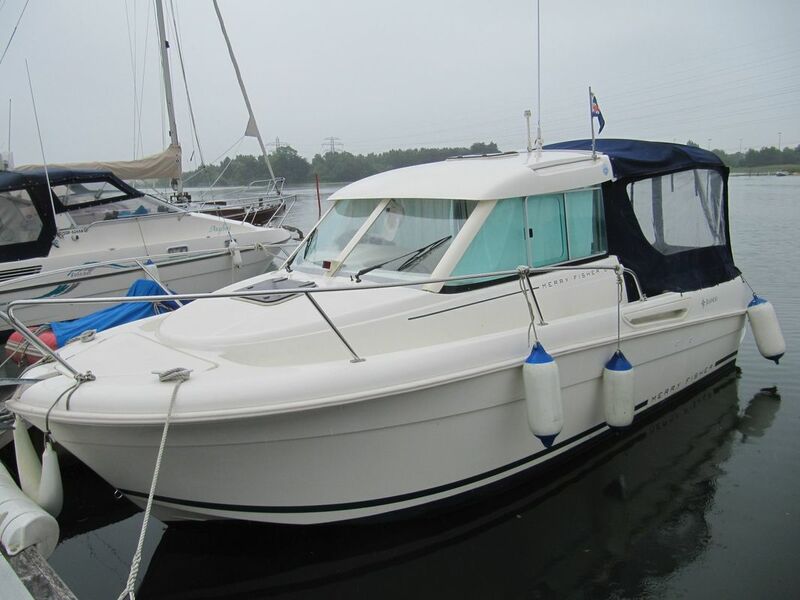 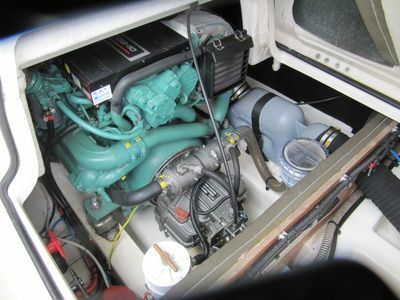 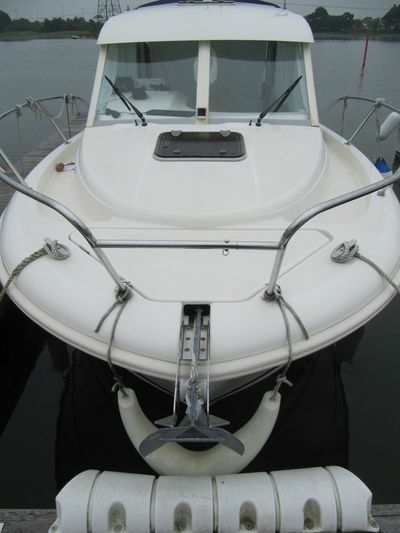 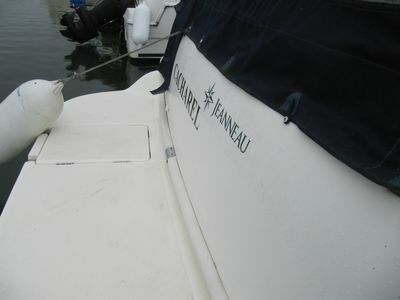 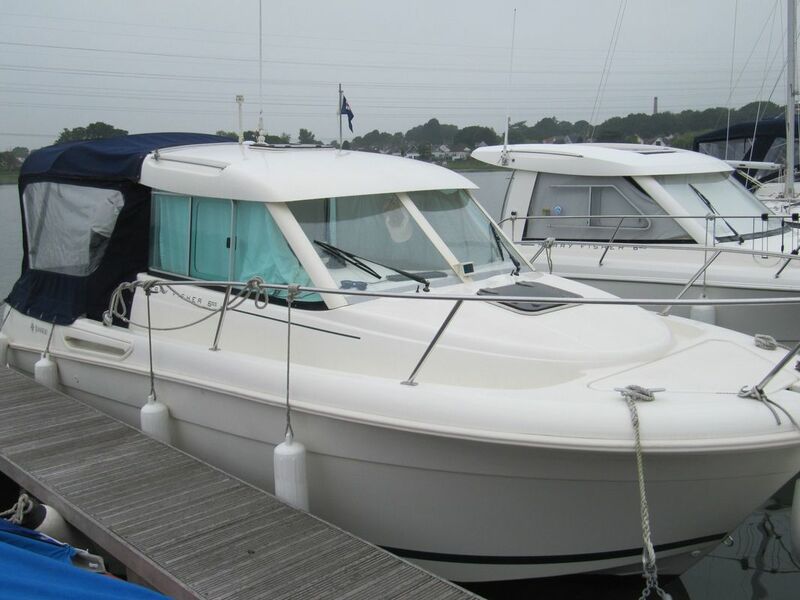 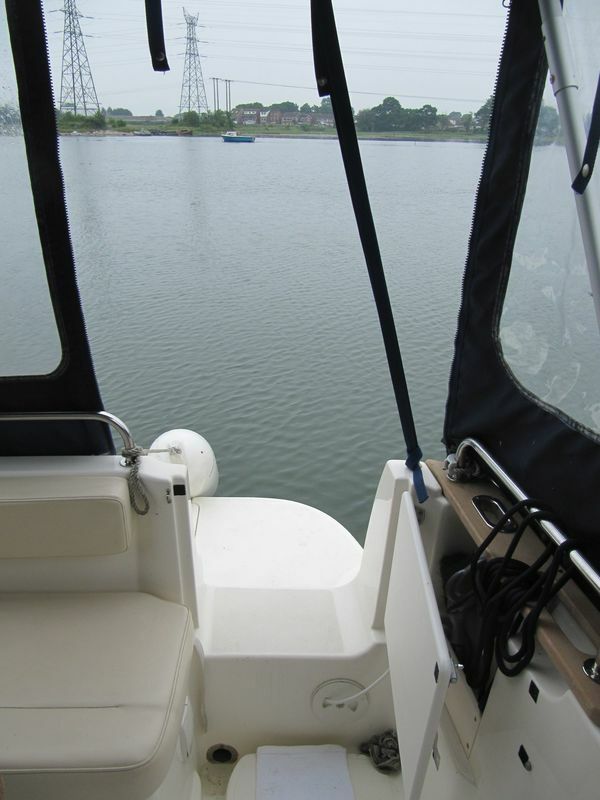 A well cared for 2007 Jeanneau Merry Fisher 655 in great order throughout. 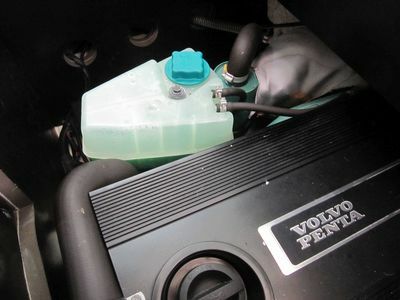 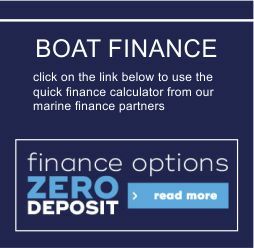 Fitted with a Volvo Penta D3 diesel engine freshly serviced. Accommodation for 2 in 1 cabin with separate heads compartment. A great sea-going boat, this cruising fisher looks after friends and family in comfort. 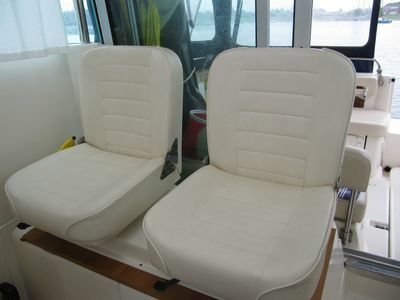 The aft cockpit is extremely diverse; you can have a fully cushioned u shaped saloon that seats up to six adults in comfort. You can also remove all the seating so that the cockpit remains open for fishing. 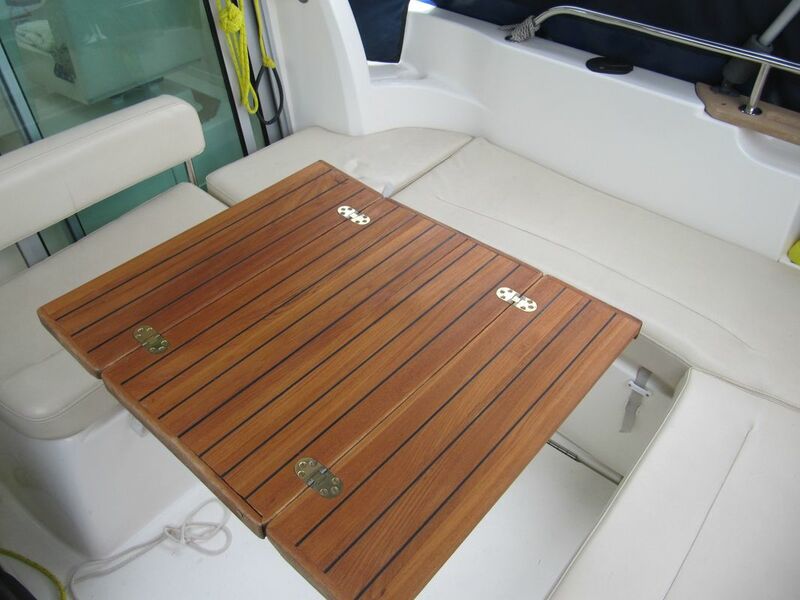 The cockpit table can be removed and stored behind the captain’s seat neatly; it also can be dropped down to convert into a large double bed / sun lounger. Stainless steel pulpits surround the aft cockpit of which adds good security. 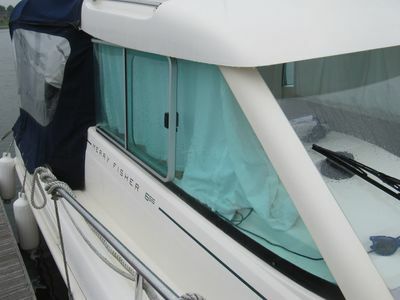 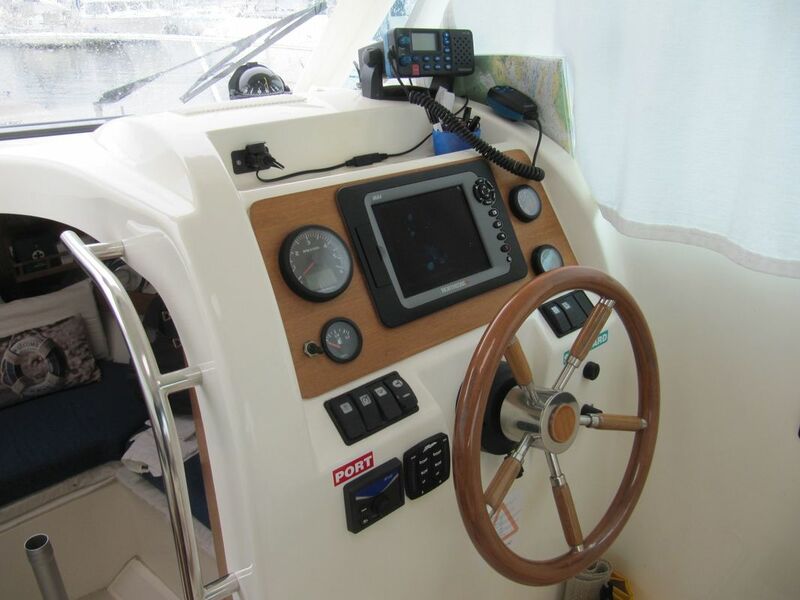 On the helm, the Merry Fisher 655 has a skipper’s seat and a navigator’s seat neatly tucked to Starboard. 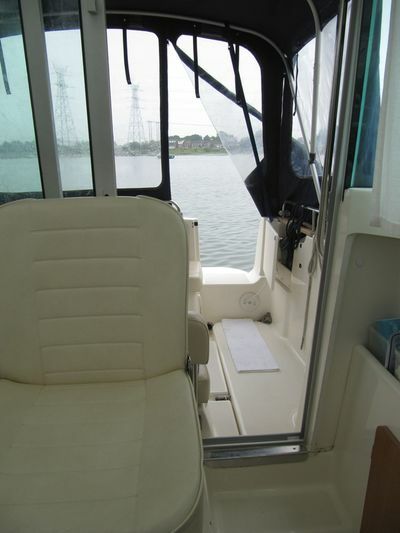 The saloon is u shaped and has a large oval table for dinning. The saloon drops down and converts into a large double. 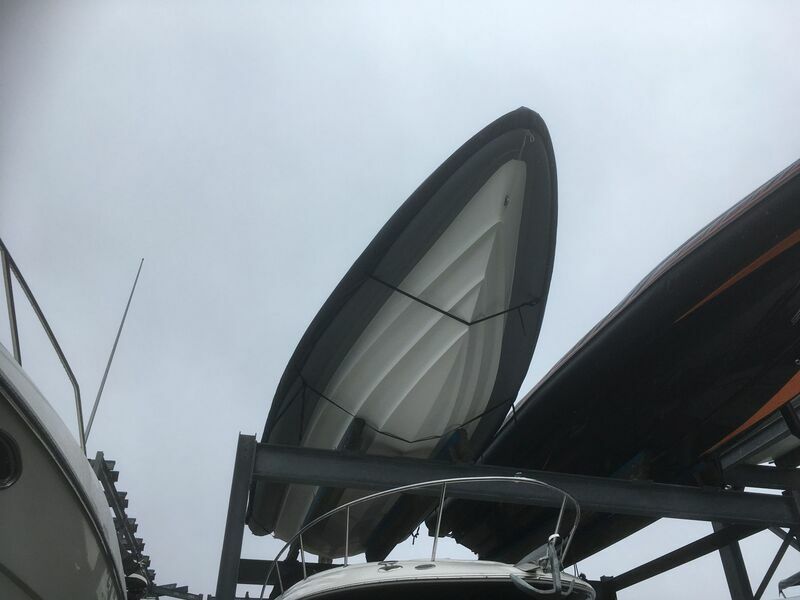 Storage lockers underneath the saloon. 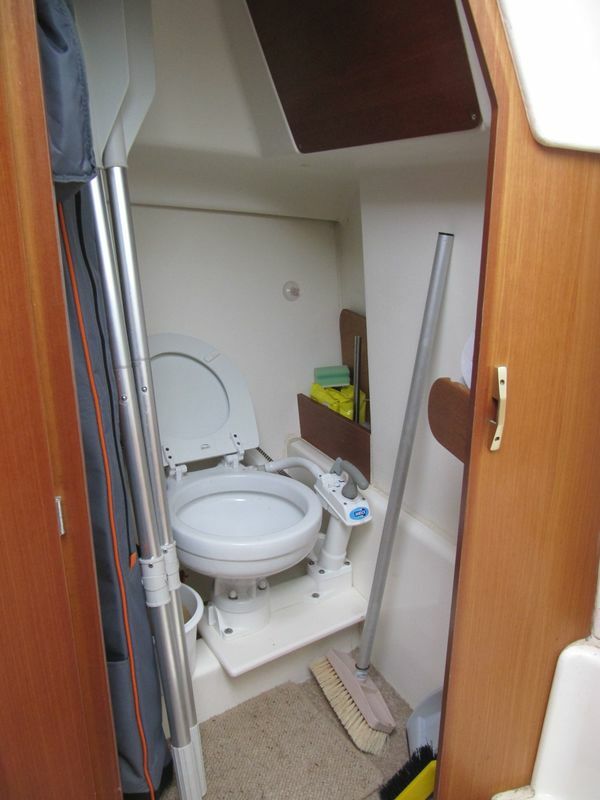 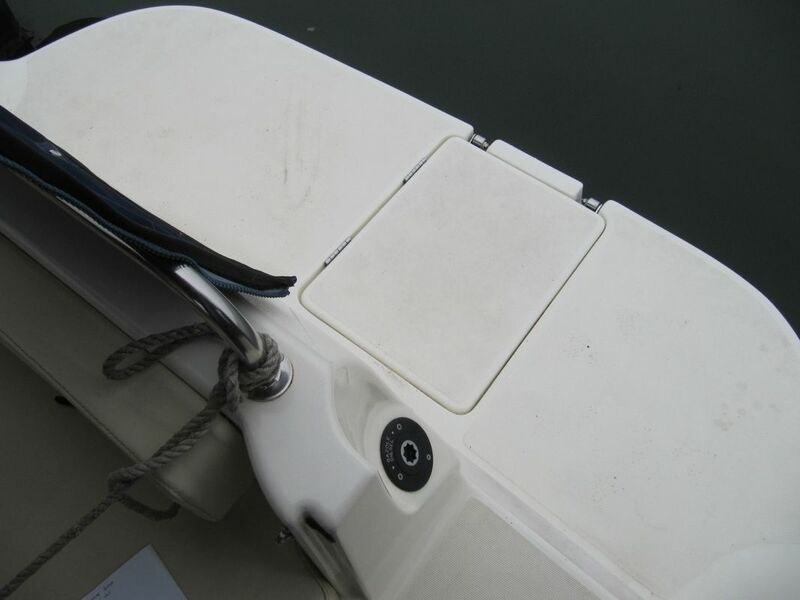 Seperate heads compartment with marine WC with through hull discharge. 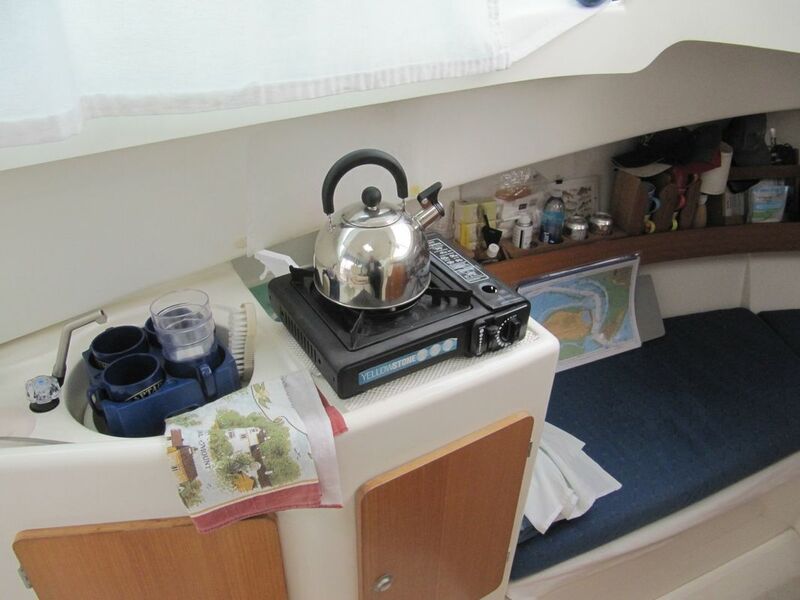 Separate galley area with sink and stove.